Kotkamills is based in the eastern Finnish city of Kotka. This Finnish company wants to tackle the growing piles of disposable dishes that are increasingly littering the horizon. Think about all the festivals you have ever attended. After the final band left the stage, and the crowd started shuffling home, inevitably their path is paved by a thick layer of discarded plastic pints and single-use plates unceremoniously left on the festival ground during the revelry. 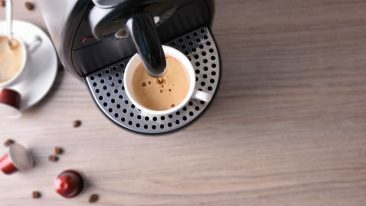 The carton board with barrier properties can be used for the likes of coffee cups. Of course this scenario is not confined to festive gatherings. How many disposable coffee cups turn into litter and waste during every day in any given major city? Thankfully, this mounting problem is being solved with an innovative approach in the eastern Finnish city of Kotka. 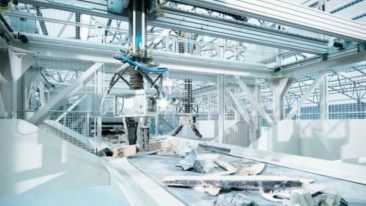 Kotkamills has recently developed a water-based dispersion solution that could be used to create fully recyclable virgin fibre based carton board suitable for food packaging. The end result resists the rigours of water, heat, grease and alcohol and can be recycled like paper or composted. This breakthrough represents another stage in the company’s long and eventful history. 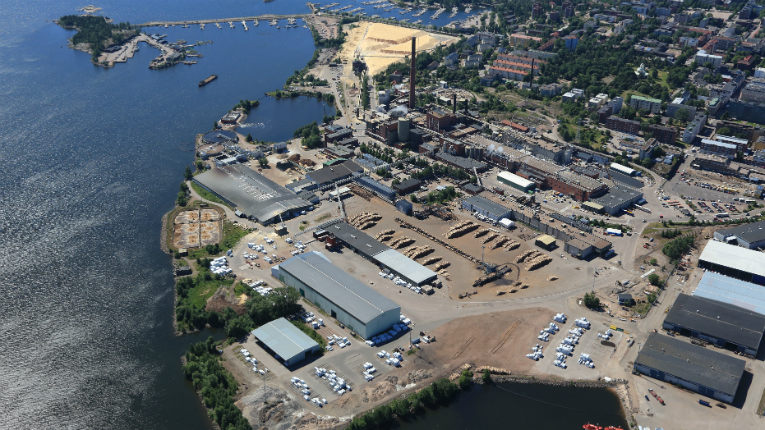 Kotkamills was founded in 1872 on Kotkansaari island as Finland’s most modern steam-powered sawmill. Subsequent decades have seen the company mine the deep well of Finnish forestry knowhow, before the factory landed a new owner in March 2015 and received over 100 million euros in investments. 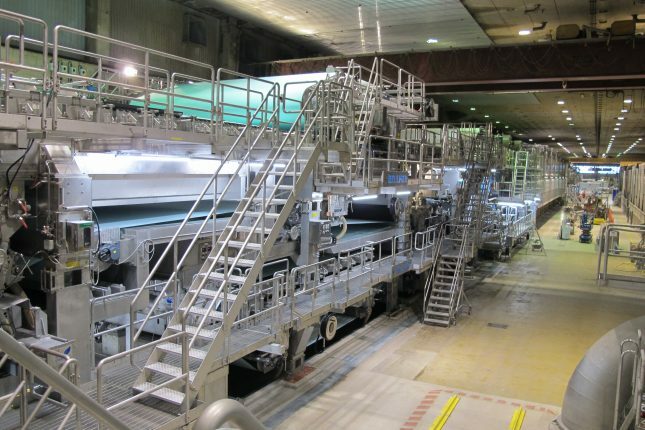 With Hämäläinen at the helm, Kotkamills set out to transform its approach from a printing paper machine to producing folding boxboard and food service board. 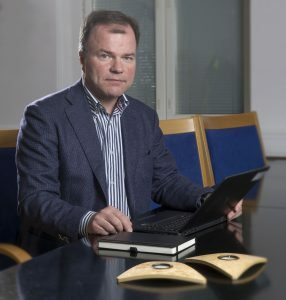 CEO Markku Hämäläinen is leading Kotkamills to a sustainable future. “The thought of being capable of producing an eco-friendly product customers had been asking for, for so long, convinced investors,” Hämäläinen tells. Hämäläinen says the technology itself isn’t particularly new. So, why can Kotkamills do something others haven’t been keen on trying? The technology has understandably caught the eye of the big food chains. Yet, as the approval processes of these companies is so lengthy, Kotkamills decided to produce folding boxboard to keep its machines running whilst its food service board materials are developed further. Nonetheless, Hämäläinen hopes to see its eco-friendly alternative for plastic eventually take over the production completely. Others think so, too: Sitra chose Kotkamills on its list of the most interesting companies contributing to circular economy. 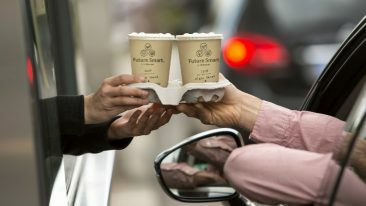 Elsewhere, Finnish Huhtamäki has also created a paper cup made entirely from plant-based materials. 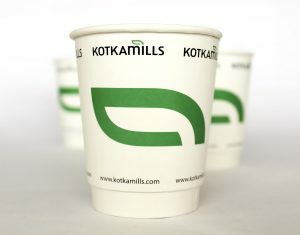 It isn’t only for the goodwill of food producers that Kotkamills wants to make packaging more sustainable. Hämäläinen believes that consumers are increasingly aware and demanding when it comes to their ecological footprint. A lot of people would prefer buying their lunch salad in a box they can recycle between newspapers to throwing a plastic container into a bin. Although the material is compostable, Hämäläinen would prefer seeing the virgin fibre back in use over and over again. When composted, the fibre will disappear, whereas when recycled with paper, the same fibre can be used to make paper for up to six times. This has particular relevance for fast food restaurants, where packaging materials containing plastic are a big problem that brings about expenses. Manufacturing packaging using Kotkamills’ material could turn this upside down significantly. “When restaurants now have to pay for someone to pick up their waste, they could instead sell the recyclable materials,” Hämäläinen explains. And so, looking ahead to festivals of the future, the path home might still be paved with discarded pints and plates; but instead of trash, they’ll be raw material for something new. Big packaging manufacturers could make use of Kotkamills’ product not only in food retail, but also in pet food and detergent containers.